Winter’s got us firmly clutched in her icy death grip with no relief in sight, and flying south to kick back on a beach in Mexico sounds pretty dang appealing right about now. Unless, of course, you’re joined by 1,500 of your closest friends, relatives, strangers, their mothers, grandmothers, and screaming children. Finding an untapped beach along the coast of Mexico has become something of a challenge as the sleepy towns and secret coves along its shorelines get discovered, rediscovered, Instagrammed, and overdeveloped. But it’s not impossible. All you need is a sense of adventure and, in some cases, a set of wheels to dig into your Cast Away fantasy on one of these rustic, off-the-radar stretches of sand. Lagunas de Chacahua is about as far off that beaten path as you can get, friends. 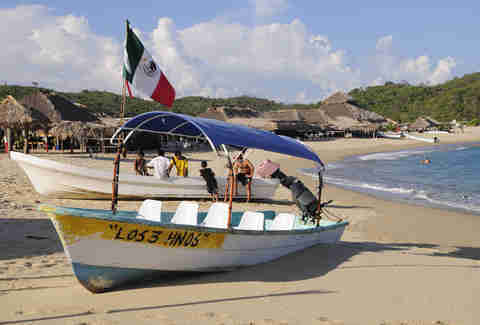 Located between Puerto Escondido and Huatulco, this village sits on the channel that strings Chacahua Lagoon to the Pacific. Beach bums, backpackers, and chasers of chill all hang in harmony on this rugged beach, a surfer's paradise where Australians flock annually to chase massive waves. Come suppertime locals and visitors gather on "Restaurant Row," a string of ubiquitous beach shacks and bars slinging various versions of the same ceviche or fish taco. Don't expect to lay your head anywhere too luxurious in Chacahua -- bungalows reign supreme here, and are usually made from bamboo and palm fronds and available on a first come, first serve basis (the internet is somewhat nonexistent here). On the plus side, they can be rented for as little as 100 pesos a night. 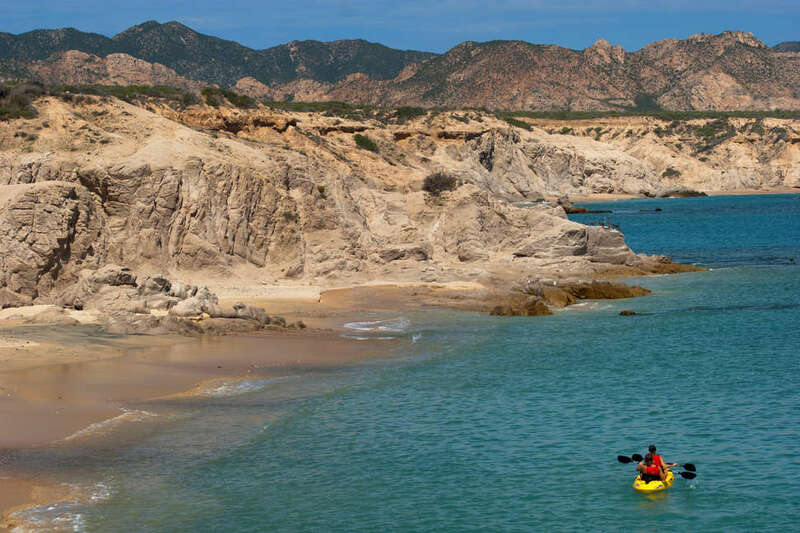 If you can stomach the drive, it's worth the 60 bumpy miles outside of Cabo San Lucas to explore the 5-mile beach of Cabo Pulmo. Whereas Cabo San Lucas and San Jose del Cabo cater to Richie Rich’s with money to burn, Cabo Pulmo is your basic, barefoot beach bum hideaway that’s delightfully unpretentious and tiny to boot. Surrounded by red rock desert and mountains, the town itself only has a population of maybe 100, served by two cantinas and four restaurants. What’s there to do, you ask? 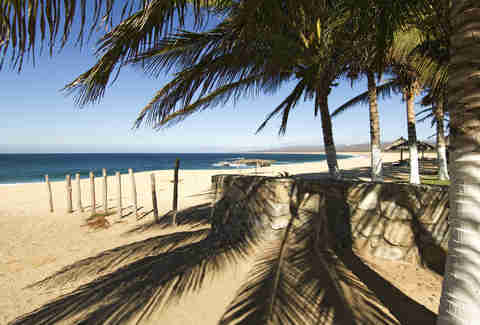 It’s home to Cabo Pulmo National Marine Park, a paradise for divers who will no doubt curse us for blowing up their spot. The best (only?) 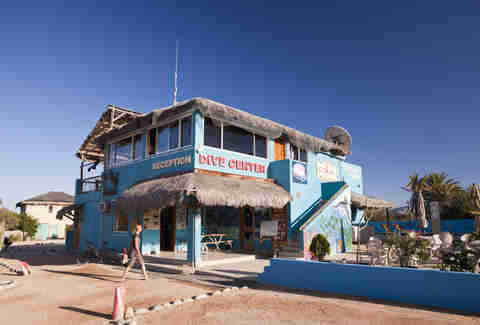 hotel options in town is Cabo Pulmo Beach Resort, a Robinson Crusoe-style hotel with bungalows equipped with kitchens and barbecues. 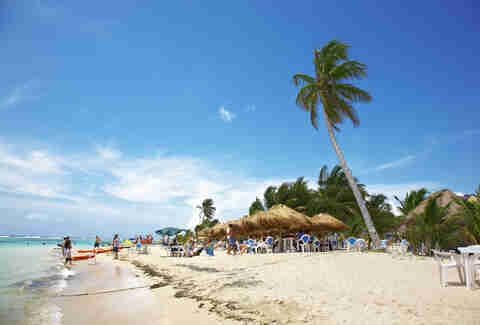 The hotel can help organize a host of local activities like diving, snorkeling, surfing, and hiking. Keep in mind that the majority of Cabo Pulmo is cash-only. The city of Mérida has flourished into a buzzy destination, but those in search of some bona fide chill time would do best to head outside the city to Celestún. It’s got all the dressings you’d expect from a slice of Caribbean paradise (sugary sand, check; crystal-clear water, check) yet it’s blissfully laidback and uncrowded, save for resident fishermen and locals catching a break from the city. 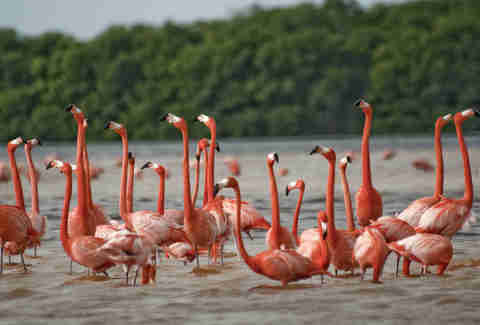 The real draw here is the Biosfera Ría Celestún, a wildlife sanctuary home to hundreds of brilliantly pink flamingos who gather here year-round. Nab yourself a local with a boat who’ll take you to see the full spectacle -- they are at their most colorful from November to mid-March. For the full escapist effect, book a room at Casa de Celeste Vida, a small guest house located directly on the beach and less than a mile from "downtown." But for those who still want to bed down in the city to partake in Mérida’s energetic vibe, it’s a relatively painless two-and-a-half-hour bus ride to the beach, or an hour and 45 minutes in a colectivo. 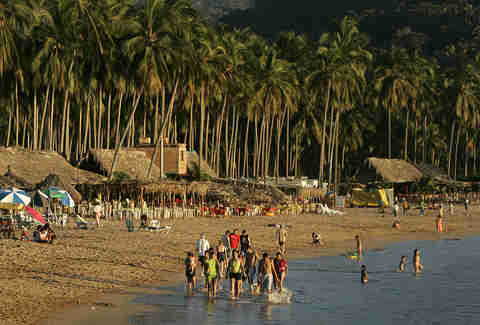 Plenty of other beach towns north of Puerto Vallarta in neighboring Nayarit have been overrun by tourists, yet somehow Chacala has managed to cling to its secret status. This fisherman village has a population of just 300 plus a steady stream of beach hut hopping surfers. Bed down at Villa Celeste Chacala, a bright and colorful guest house designed in the traditional Mexican hacienda style, right on the beach. All rooms have complete kitchens, and the hotel offers up a BBQ for guests to grill their own seafood. But if cooking's not your speed, hit Quezada for broiled fish on the beach; for breakfast the pro-move is Majahua, tucked back in lush jungle overlooking the cove. The wildlife is pretty, er, wild here -- keep your eyes peeled for white-nose coatis and ocelots. Explorers will undoubtedly wind up in Villa Del Mar, a nearby community where outdoor activities are the main event, like horseback riding, motorcycling, snorkeling, or visiting the turtle hatcheries. It's also worth a trip into Tehuamixtle, which is the largest "town" nearby, though it's more akin to a fishing village with a few sleepy, sun drenched porch patio bars and sea views. Not too shabby. Meagan is a travel writer living and breathing in NYC. But if you give her a plane ticket today, she will be somewhere else tomorrow. She like tacos, music, and making lists. But travel is her life.